For users of the Microfluidics Module, COMSOL Multiphysics® version 5.4 brings an updated Laminar Two-Phase Flow, Moving Mesh physics interface and a new Interior Wetted Wall feature. Learn more about these updates below. The Laminar Two-Phase Flow, Moving Mesh interface now uses the Deforming Domain feature under Definitions. This facilitates model setup, as the fluid domain settings and boundary conditions are now specified in the Laminar Flow interface, and the deforming domains and boundary conditions are set up under the Definitions node. This allows other physics to be included in a straightforward way, as the moving mesh functionality is common to all physics in the model. 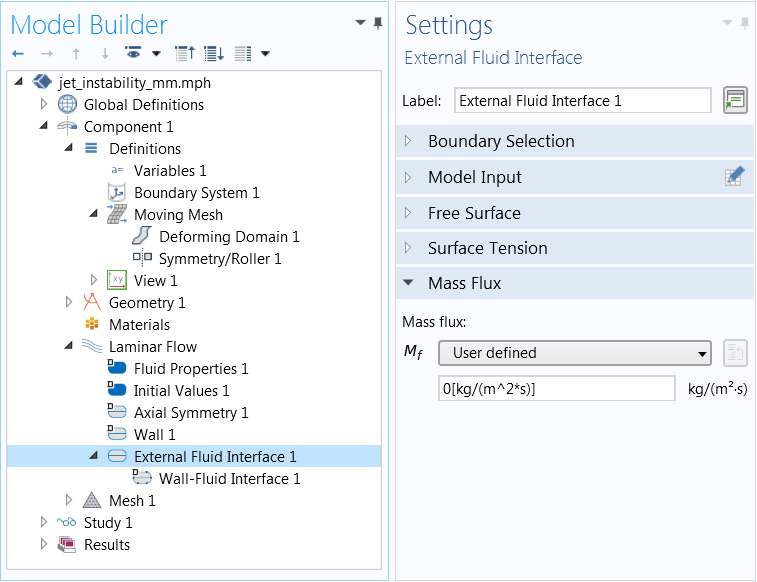 Also, you can specify a mass flux in the External Fluid Interface boundary condition. The Two-Phase Flow, Level Set and Two-Phase Flow, Phase Field interfaces have a new Interior Wetted Wall feature that is applicable on interior boundaries. This complements the already existing Wetted Wall feature that is only available for exterior boundaries. These features allow you to specify a contact angle on an interior moving or stationary wall. For the Two-Phase Flow, Level Set interface, the Interior Wetted Wall feature is a multiphysics coupling feature, and for the Two-Phase Flow, Phase Field interface, it is a feature in the Phase Field interface. Level set simulation of an oscillating interior wetted wall at a water-air interface. 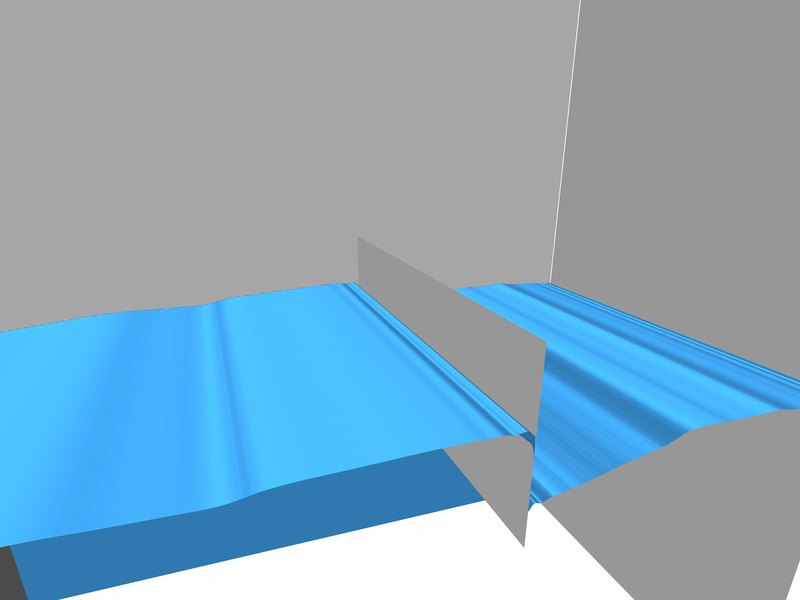 Level set simulation of an oscillating interior wetted wall at a water-air interface.